I found an original green Brain/Metronome LP pressing at a Eugene, Oregon record store. I couldn't believe what I was seeing! So I snatched it because it was sold at a rather cheap prince ($20), only to find out copies go for ten times that much, or even more so. This isn't the 2010 reprint, as that was apparently pressed on 180g vinyl, this looks like your typical '70s standard weight, probably 120g, plus it looks to have the usual wear and tear of a 1974 LP. 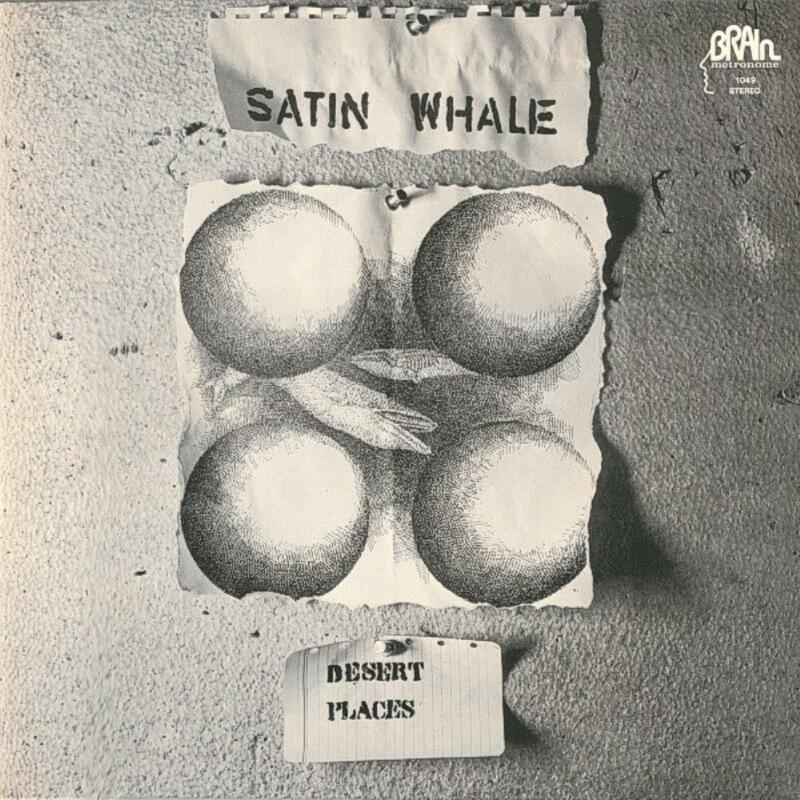 I have heard of Satin Whale for ages (since about 2002) and glad to have bought this. This is probably the closest to Krautrock they have ever did, but don't expect the experimentation of Can, Faust, Amon Duul II, early Tangerine Dream, Ash Ra Tempel, Agitation Free, etc. Here they often go in the Jethro Tull vein, but often go for extended jams, lots of nice guitar and organ soloing. The vocals are OK, nothing to write home, but at least not bad. Much of the album follows this same path, some short vocal passages, extended instrumental passages. One gripe could be, given its 1974 origins, that this album sounds rather behind the times and sounds more like a 1971 or '72 recording, but then you can say the same thing of Eloy's Floating or even Mythos' Dreamlab. But then from hearing my share of 1974 recordings, I came to the conclusion that the year, musically, seemed to have one foot in the early '70s (the guitar/Hammond organ approach was still commonplace) and the mid '70s (synthesizers were starting to play a bigger role). It's obvious that the Satin Whale was a bit behind the times for synths, as they still didn't use one, or more likely couldn't afford one (of course, they used synths on later albums like As a Keepsake). I don't let the "behind the times" sound bother me, it fits comfortably with your other prog albums released a bit earlier. This album gets a lot of praise in the prog community, and for good reason. It's too bad this was never properly reissued. It did received a bootleg reissue on CD on Germanophon, but it would do so much better had Repertoire been able to get their hands on it (after all, that label had reissued many great titles from the Brain label, it's probably either they can't get the rights to it, or the band members are embarrassed and don't want a reissue, just like Kraftwerk did with anything pre-Autobahn). I'm glad to own a turntable and the original LP, and lucky to find at a real decent price. Great stuff I can highly recommend!